The newest addition to our product line are Fruits of the Nile Nectars from Egypt. These thick and luxurious fruit drinks are made from the finest hand-picked fruit grown year round in the fertile Nile Valley, and contain up to 30% fresh juice. 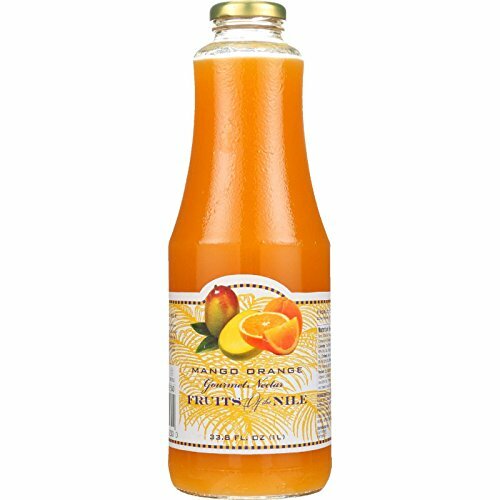 Fruits of the Nile Nectars come in four flavors: Mango, Strawberry Guava, Mango Orange and Guava. They make great smoothies, ice pops and cocktails. If you have any questions about this product by Fruit of the Nile, contact us by completing and submitting the form below. If you are looking for a specif part number, please include it with your message.